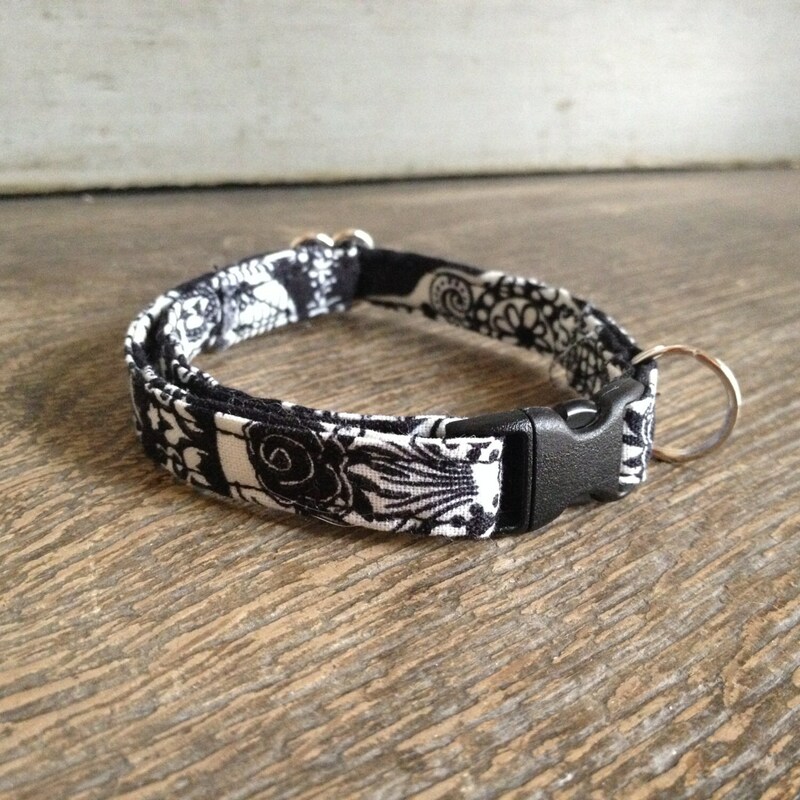 This collar is handmade. It glows in the dark! 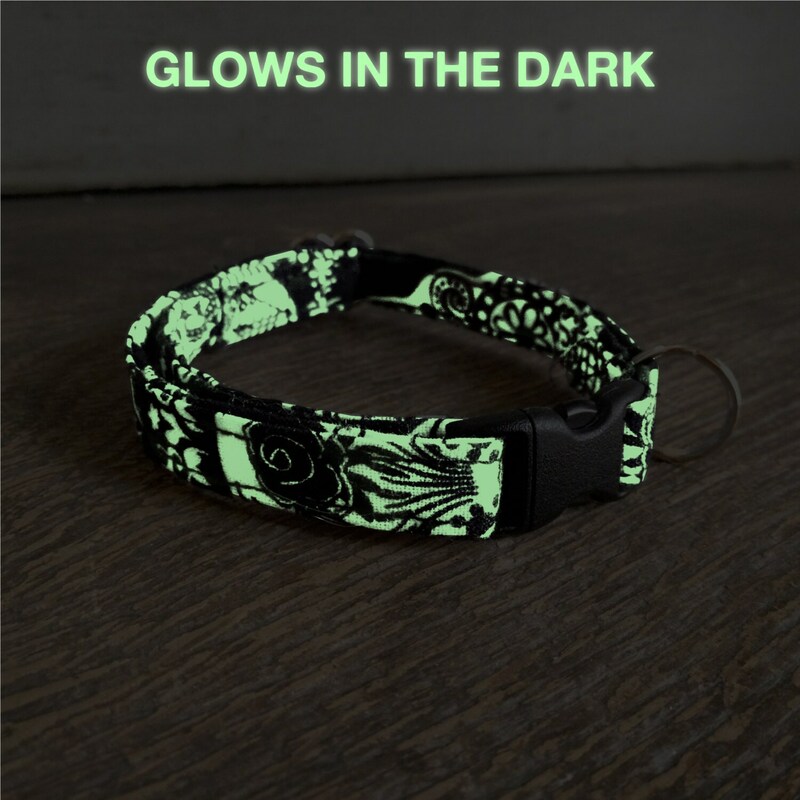 This cat collar was sewn by hand in a beautiful glow fabric: the background glow in the dark! The clip is a safety loop, it will come off if the cat caught her necklace on a branch or a piece of furniture. There is a leash to this item, it is not included with this product. Length: 20-30 cm, easily adjustable to fit all cats from 3 months. Très bonne qualité et finition. Aucun souci pour mon chat à l'accepter ! Je recommande ! Beau collier avec de belles finitions, l'effet phosphorescent est léger, je l'ai reçu avec un fermoir blanc et non noir comme sur la photo.Contact facile et vendeur très sympathique, je l'ai reçu dans les délais indiqués. Mon chat dire merci à vous! Merci beaucoup pour le collier, c'est parfait!